As most students of architecture and interiors do, I gained a healthy and lasting respect for Modernist architecture and it’s beginnings. Walter Gropius founded the Bauhaus school in Weimar Germany in 1919. After the first world war, Germany experienced a time of artistic experimentation. Gropius believed that simplified forms, functionality and mass production could enhance the artistic spirit. Much the way William Morris argued that “art should meet the needs of society and that there should be no distinction between form and function”. The school included all the arts, not just architecture and in fact did not have an architecture department when it was first founded. Gropius himself is quite an interesting person and I encourage you to read more about him. The short story is that he fled Nazi Germany to Britain in 1934 with his wife Ise. In 1937 they immigrated to the US and he became the chair of architecture at Harvard University and choose Cambridge Massachusetts as the site for his home. 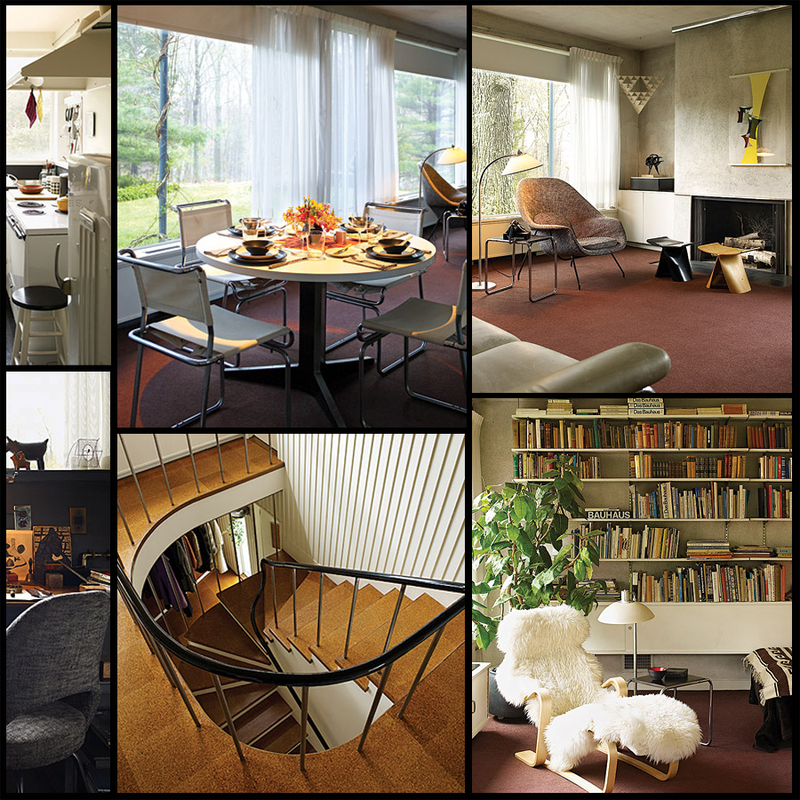 His protege Marcel Breuer, whom he had known and worked with since his Bauhaus days, built a home on the adjacent lot and designed most of the furniture for Gropius’ home. Preserved by Historic New England (formerly the SPNEA) this home is now a museum open to the public. All of the interior finishes and furniture have been preserved as shown in the photos below. True to the spirit of the Bauhaus, the Gropius House combines traditional elements of New England architecture, such as clapboard, fieldstone, and brick; new materials, including glass blocks and chrome balusters; and the latest technology in fixtures — all ordered from stock catalogs. Local techniques are honored but often subverted: The clapboard, for example, runs vertically, not horizontally, as in neighboring Colonial farmhouses. Interesting. 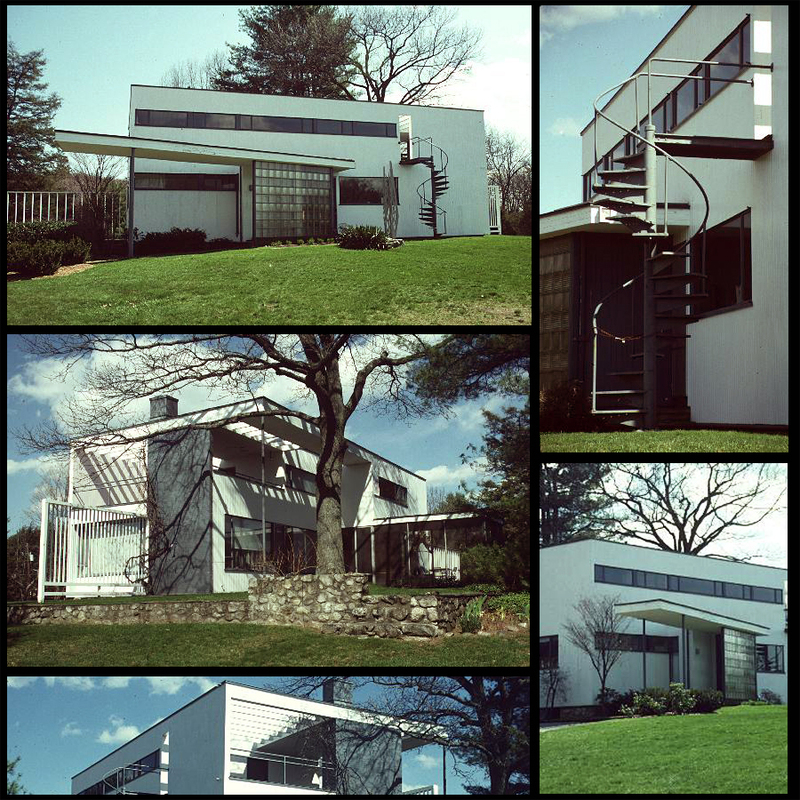 A good friend of mine from undergrad actually grew up in Lincoln, MA, not far from the Gropius House. It is interesting to look back at my impression of the house over the years as the current designers have really made this style much more mainstream in the retail world.